I have gotten so excited for the new Lorax movie to be released on March 2, which is also Dr. Seuss's birthday. 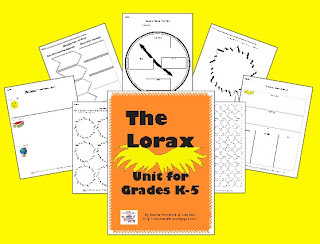 To celebrate the movie release, the birthday, Earth Day, and my favorite Seuss book of all time, I made a The Lorax Unit for grades K-5. There are at least five activities for each subject. 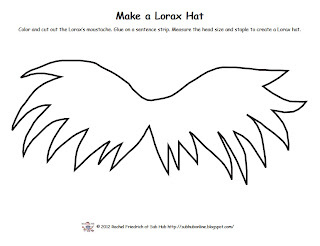 And as if that weren't enough, I also made a free Lorax moustache hat pattern.